It is around 11 am in the morning. A cold day is made colder by the elusive sun and the fog (smog?) that engulfs Lahore in December. In the outskirts of Lahore is the farm called Fins Ferns Feathers where Shahid Sheikh walks the happy walk of a man who is in his element. A puny log fire lends an idea of warmth and cheerfulness to the place surrounded by birds, animals and plants of various hues and sizes. 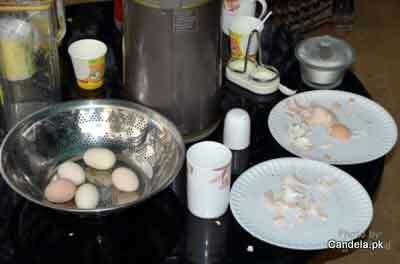 Over the bowl of steaming hard boiled organic brown eggs, orange juice from the trees in the farms, and hot mugs of kashmiri tea, Shahid talks about his journey, his passion, and his belief in the profitability of his venture. However, to turn his profitable hobby into a full-fledged business venture he had to wait till 2003. In the meanwhile, he graduated in commerce and went on to do specialization in finance. Now he has over 25 years of experience working in the corporate sector. But he always knew where his heart actually lay. “In 2003, I inherited some money and had to make a choice between building a house for my family and starting a farm. I decided to rent a house and build a farm. It wasn’t considered a wise decision at the time but I always believed in the profitability of my venture,” he recalls. It wasn’t a smooth journey. He had to wind up his first 4 acre farm at Bedian road when he started having problems because of high water levels at the place. When he shifted the farm to a nearby village, there was no proper arrangement for the drainage of rain water. He got lucky the third time round when he rented the current place in 2007, spread over five acres, which he has been able to expand since then. A stroll around the farm shows many budding and buzzing projects. There are rows and rows of plants, both seasonal and perennial, lining various walkways and areas dedicated for plant nurseries. “We provide landscaping services, aquarium maintenance, feeder services for birds and fish, and consultancy related to gardening and farmhouse management. But my biggest source of income is plant rentals from offices. My team of gardeners visits our clients regularly to water and prune plants, and change them when required. 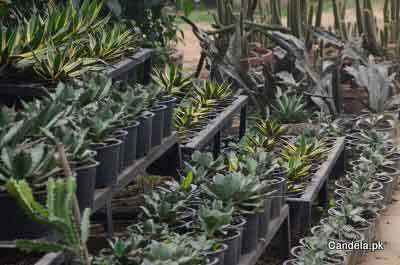 We have now more than 500 clients” he says while showing and naming various plants. The rent is charged according to the type of plant. The plants that get the highest rentals are Bonsai. Seasonal flower pots are also much in demand. 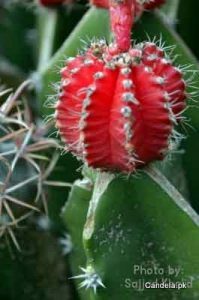 Shahid can wax eloquent about all types of plants, but it is cactus that holds a special place in his heart. “I often dream of cactus,” he says while telling about his immense fascination with cacti. After a lifetime of research and experimentation he can now boast of a splendid collection of about 1000 rare varieties. He has been able to develop sturdy local varieties by grafting imported species on the local range. “The cactus flower is rare and blooms for a short while, but it is an amazing sight.” Shahid’s enthusiasm for cacti is contagious, and his display of lovely varieties can convert the uninitiated into cactus lovers. Other than rentals, plants are also grown for selling purposes. Seedlings of various seasonal and perennial plants, growing in small pots and stacked neatly in rows, show a thriving activity by both nature and Shahid’s team of gardeners. But seedlings are not for sale. This would have been against Shahid’s business acumen. “I never sell seedlings. I believe in adding value to my offerings. A few years ago, I planted many comb palms and never sold a single seedling. Now they are all fully grown plants and every leaf of this plant helps me earn profit,” he says referring to the demand for comb palm leaves by florists who use them in bouquets. You know you are near the bird area when you encounter a male turkey roaming freely about, proudly showing its plumage, daring the visitors to go near its female huddled inside the turkey cage. The aviaries show various precious species of: pigeons, doves, hens, parrots, parakeets, ducks and partridges. According to Shahid, birds are in much demand for their ornamental value. 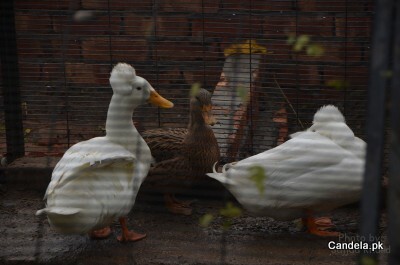 “Anyone who has some money to spare and a spot to build an aviary wants to keep birds. Besides, regular bird shows and mushrooming of bird clubs have generated interest in bird keeping,” he tells. It’s a much recent project and already showing results. According to Shahid, dairy farm is not profitable until it is scaled up to a hundred cows. But cattle farm is your best bet for making profit. 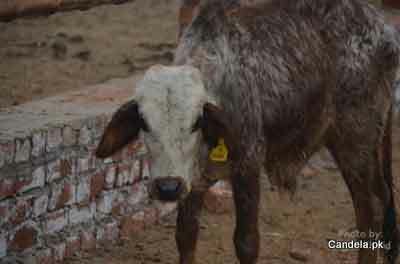 “Every cattle is labeled, weighed and fed according to its body weight. It is a 120 days cycle. After 120 they will be ready for selling.” Shahid likes to do proper research and learn the ropes before starting any project. And this seems to be his secret of success. A goat comes skipping by and starts munching at the nearby flower pot. Shahid shoos it away, and it runs back to a place of its own. 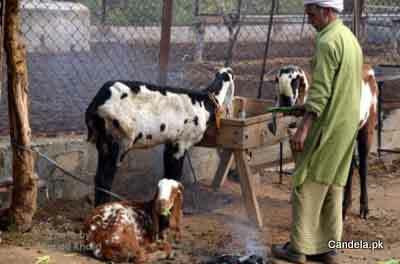 There is a dedicated purpose-built area for goats, another one of Shahid’s venture. The place houses more than a hundred goats of various ages. The cows moo, birds cackle and twitter and the goats bleat loudly. Seconding him, I suppose, and perhaps wondering if Shahid intends to start a worm farm.